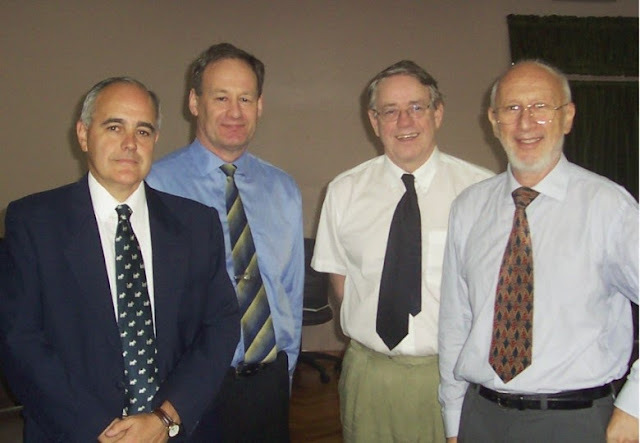 The Nottingham-Malvinas Group: 2008 - An Approach for the Malvinas War Veterans´ issue : The Peer Support. 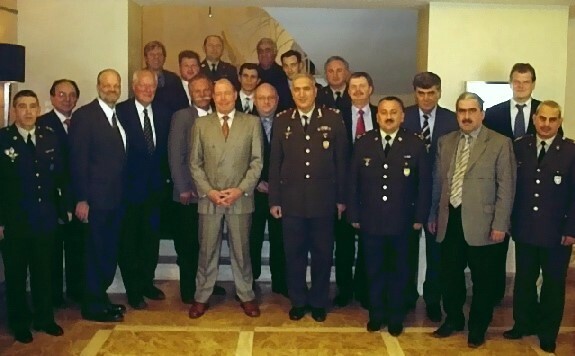 2008 - An Approach for the Malvinas War Veterans´ issue : The Peer Support. "The extreme and terrible nature of war touches something essential about being human. For those who survive, the victors and the defeated, the battle lives in their memories and nightmares ... It survives as hundreds of searing private memories, memories of loss and triumph, shame and pride, struggles each veteran must fight each day of his life." - Mark Bowden, Black Hawk Down: A Story of Modern Warfare. Operational stress injury (OSI) is a non-medical term used to describe any persistent psychological difficulty including anxiety, depression and Post Traumatic Stress Disorder ( PTSD ) resulting from operational duties performed by the men and women of the Armed Forces. The OSIs (or Combat Stress Reactions) are not mental weakness nor are they signs of cowardice. OSIs have no preferences and can strike anyone of any gender, of any personality type, rank, trade or classification. The OSIs don´t prefer one operational tour to another. What is a soldier exposed to ? We should remember the traumatic experience of the conscripts aboard the cruiser ARA General Belgrano. Mount Longdon, Mount Tumbledown and Goose Green were no doubt bloody ground battles which ended with fixed bayonets and hand-to-hand fighting (28). The Welsh Guards were bombed aboard the RFA Sir Galahad and Sir Tristam at Bluff Cove/Fitzroy more than 55 were killed and many were terribly burned and injured. (2).The 1982 conflict took 746 Argentine lives, 255 British and 3 inhabitants of the island. It was certainly no picnic. The campaign cost the British 255 men killed (113 of the Royal Navy) and 777 wounded (436 of the Army).(38,39). Robert Fox, BBC radio´s man in the front line, wrote on the 1982 conflict that ¨more British servicemen died than the total number killed on operations in Afghanistan since 2001 and Iraq since 2003. Such attrition is unlikely to be tolerated today (2). Is there a stigma so strong that a soldier is unwilling to admit, even to himself, that he's injured? Does the world regard him as a legitimate casualty, or as merely a weak individual (58,67). And is this soldier returning to a place that accepts him gratefully as a veteran, or will he be scorned as promoting an unjustified war? Does the war veteran describes his own experience (Gallo) or has incorporated what he has read in books about the war? (36). 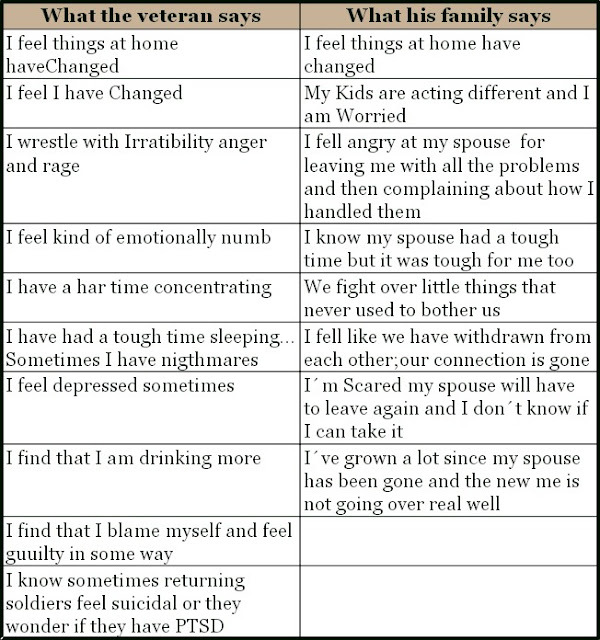 Injuries sustained sometimes get buried deeply within, where they can fester and poison other parts of the veteran's life to the point of total breakdown. (76) . Tony McNally was a gunner in the British Royal Artillery during the 1982 Conflict. He has battled mental health problems for years, triggered by guilt over the moment his missile system malfunctioned being unable to prevent the death of his comrades on bombed and blazing ships. At his home in Dalton, Cumbria , Mr McNally recalled the moment when four Argentine jets, two A4 Skyhawks and two supersonic Mirages, came roaring in to attack the Royal Fleet Auxiliaries Sir Galahad and Sir Tristram as they landed Scots Guards and Welsh Guards at Bluff Cove on the western side of the Falklands, the launchpad for an attack on Argentine forces occupying Port Stanley, 80 miles away. "The British Army's way of telling you to deal with war immediately after is to get drunk and that will sort you out," said Mr McNally. "On the ship home, it was chaos. People started fighting; one guy stabbed another guy in the belly with a bayonet. For a military environment, it was pretty illdisciplined." Psychologist and former US Army Ranger, Lieutenant Colonel Dave Grossman and others have written extensively and insightfully regarding the profound debilitating effects of killing in war combat behavior. He emphasized the importance of appreciating the relevancy of moral values and norms to defining themselves as personas, structuring their world, and rendering their relationship to it, and to other human beings, comprehensible. Those values and norms provide the parameters of our being called ¨moral identity¨ by Grossman. I term our Combat behavior often violates the moral identity and negatively impacts on the self-esteem, self-image, ands integrity causing debilitating remorse, guilt, shame, disorientation and alienation from the remainder of the moral communitymoral injury. (11). Dr Nigel Hunt´s research has examined the universal and the cultural effects of war trauma. The universal elements of the condition include the traumatic event, and the memory of that event, which triggers an emotional response. Also universal are the two basic elements of coping with the condition — either addressing it or choosing to ignore it. The cultural elements of war trauma cover the acknowledgement, treatment and support networks for the condition, as well as the way it manifests itself. This can vary broadly depending on the nationality, social background and religion of those suffering from the symptoms. In Finland veterans are the focus of a great deal of respect from their government and population. They are also offered annual 'respite care' sessions at specially-built camps across the country. Here they can spend two weeks a year with other veterans, in a relaxing environment, with access to expert advice and help. As a result, Finland sees a very limited incidence of war trauma among its veterans. But for veterans coming home to the UK find no such support network in place. Often, the only place for them to turn is oversubscribed charities such as Combat Stress and the Royal British Legion. That combat stress reactions could be a consequence of a mental conflict arising from a sense of duty being matched by an unconscious wish to survive, was first adapted to battle psychiatry by the psychoanalyst David Eder (1916) whilst working with soldiers evacuated from Gallipoli (94). It is estimated that twenty-five to thirty-nine percent of Argentine war veterans suffered PTSD and eighty-eight percent of them have never attended a health centre (10,13). More than half of all male Vietnam War veterans and almost half of all female Vietnam War veterans have experienced PTSD. In the USA. the rigorous evaluation of war-related psychiatric disorders begun with the National Vietnam Veterans Readjustment Study. This national epidemiologic survey of male and female veterans of Vietnam was conducted in the mid-1980s. The veterans were therefore assessed 10 to 20 years after their service in Vietnam. The prevalence of current PTSD was 15 percent among men and 8 percent among women. The lifetime prevalence of PTSD was higher 30 percent among male veterans and 25 percent among female veterans. (14,34). Prior research has revealed heightened aggressive behavior among veterans with PTSD.(86). New research into PTSD is leading to a better understanding of its underlying neurobiology, risk factors and long-term implications. The findings were published in a recent issue of Annals of the New York Academy of Sciences and were revealed at a conference jointly sponsored by the New York Academy of Sciences and the Mount Sinai School of Medicine.(64,97,98). According to Colonel Charles Engel MD, MPH, director of the deployment health clinical center at Walter Reed Army Medical Center, between 15 and 29 percent of soldiers returning from Iraq and Afghanistan will suffer from PTSD (11). 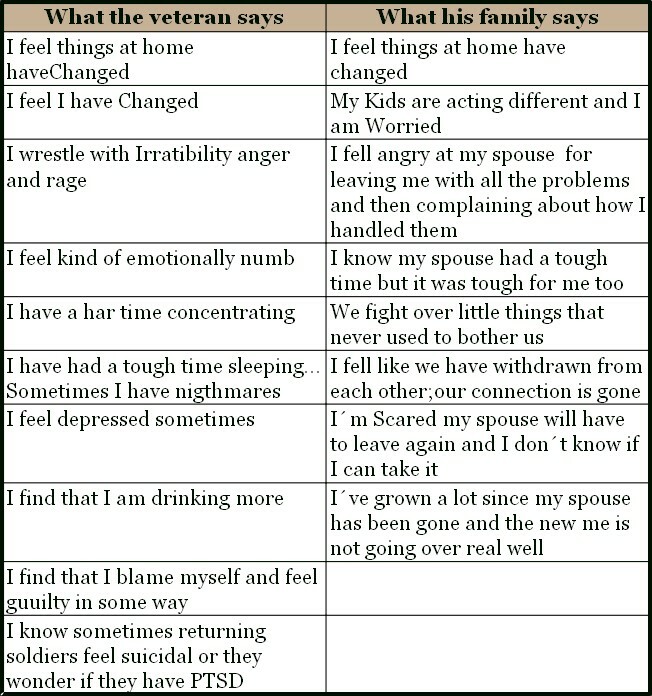 Table 1 shows the results observed among the Argentine War Veterans. There were no Royal Army Medical Corps psychiatrists in the Malvinas war (73). US Army researchers evaluated health assessment forms completed by 88,000 soldiers and an attending clinician immediately on their return from Iraq and then again a median of 6 months later. were more likely to report fertility problems. (18).The Vietnam Veterans Health Study (partners and children) (1998) of 40,030 Vietnam veterans reported on their partners and children health showed that 36% of the partners were affected by the veteran´s experience, 40% suffered stress, 34% anxiety and 30% depression.21% had problems conceiving a child and 22% had a miscarriage. They had a child with a major illness (27%), psychiatric problem(11%), anxiety disorder (16%), congenital abnormality (16%), cancer (2%), fatal accident (2%) and suicide (1%).(18). The risk of a Vietnam veteran fathering a child with an anomaly was similar to that of other fathers (29).The partners and children of Australian Vietnam veterans study(1999)revealed that children of veterans presented more family conflicts (95). In 1995,according to an Argentine Legal Information Center (Centro de Informática Judicial de la Cámara Civil) , there were 1009 accusations of domestic violence which increased to 1601 in 1996 and skyrocketed to 1820 the following year. The Woman´s Municipal Center of Vicente Lopez (Province of Buenos Aires) had 3500 average annual cases of domestic violence. In Cordoba the Assistance Center to Victims gave support as well to 5000 victims. In 1995 and 1996 there were 25,000 average emergency telephone calls for domestic violence in the city of Buenos Aires. The Korean War Veterans´ Mortality Study (2003) among more than 17.000 male military veterans revealed a higher mortality from suicide (up by 31%) and alcoholic liver disease (up by 36%).(18). There are no official data on war veterans´ suicides neither of the Argentine nor the British. (69). In the case of the British this applies to the government, the Ministry of Defense, the army, navy, RAF and even the individual regiments themselves. 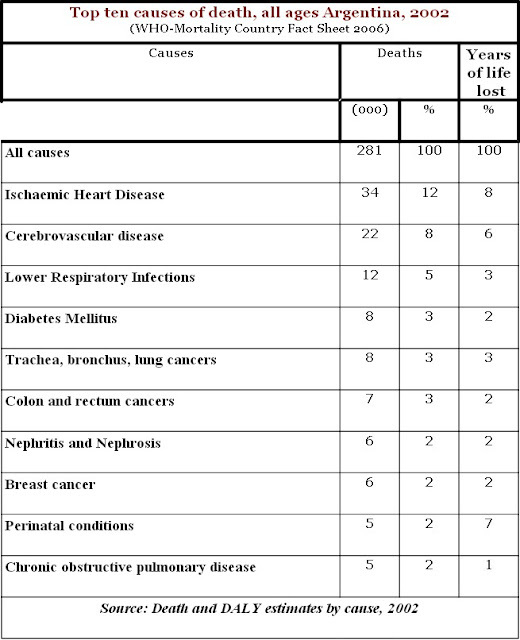 According to The Pan American Health Organization in 1995 accidents were the most prevalent external cause of death among Argentines 30 years and younger followed by suicide (574 deaths in 1995). 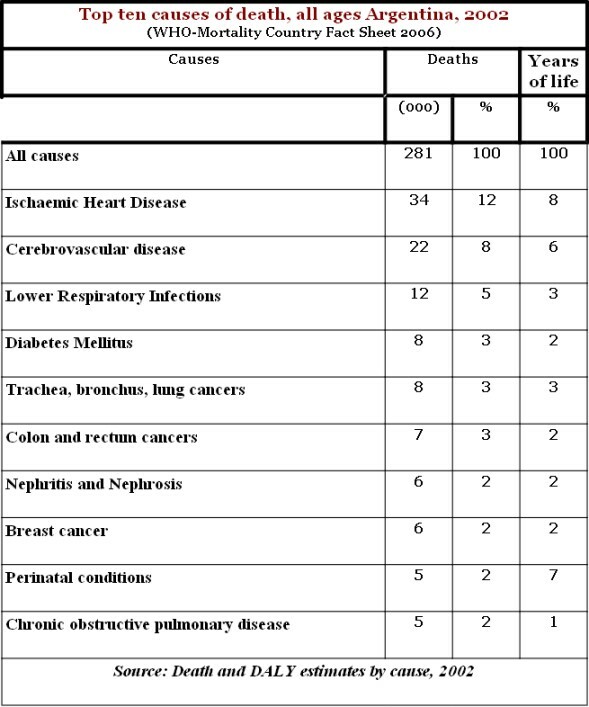 From age 30 on, the leading cause of deaths shifted toward cardiovascular disease and malignant tumors. Information on the prevalence of mental illness in Argentina is very scant. that is 14 times higher than the rest of the population(35) According to the WHO in 1999 the UK the annual suicide rate for males was 11.8 and 3.3 for women. It has been stated that 4 of every 10 Argentine war veterans have tried to commit suicide sometime (16). Argentina’s veterans believe 460 of their men have died by their own hand. The South Atlantic Medal Association say they are "almost certain" the suicide toll is greater than 255 - the number of men killed in the war (almost the equivalent of half a battalion of fighting men). The association estimates the total could be 264, according to a report in the Mail on. Cofounder Denzil Connick blamed the suicide rate on the "stiff upper lip brigade" and a lack of resources to tackle PTSD. They were policemen, teachers, lorry drivers and care workers or simply unemployed. But they had one thing in common. They were all Malvinas war veterans, they had all suffered post-traumatic disorders, and they were all failed by the system. It’s hardly surprising that some soldiers and sailors who experience the full horrors of war fail to readjust to civilian life. in the Falklands have killed themselves". Connecting a vacuum-cleaner hose to his car, Ian Cubbold, 60, switched on the engine, took sleeping tablets and lay down to inhale the lethal exhaust fumes and die at his home near Yeovil, Somerset, in 1993. There were no such preparations made by Colin Dreary, aged 31. He simply picked up a knife and stabbed himself to death at his home in Sunderland in 1994. Mark Crown, 39, died in June 1995. He handcuffed one hand to his car steering wheel, doused himself with petrol and set himself ablaze. He left a wife and two children. Jim Laker was 37 in September 1997 when he launched himself off the roof of a building in Aldershot. The US military is experiencing a "suicide epidemic" with veterans killing themselves at the rate of 120 a week (1), according to an investigation by US television network CBS. At least 6256 US veterans committed suicide in 2005 - an average of 17 a day - the network reported, with veterans overall more than twice as likely to take their own lives as the rest of the general population. While the suicide rate among the general population was 8.9 per 100,000, the level among veterans was between 18.7 and 20.8 per 100,000.
are more likely to kill themselves with a gun than others who commit suicide. (Reuters, June 11,2007).Which ages represent the higher risk ? A study by the University of Michigan and the Department of Veteran Affairs revealed that although veterans diagnosed with depression are not more likely to commit suicide than other civilian patients, there is a significant difference in the suicide rate for younger war veterans. The study concluded that, despite speculations of older veterans being more susceptible to suicide, those within the 18-44 age range showed the greatest suicide risks. The findings were backed up by associate psychiatry professor Dr. Paul Ragan of the Vanderbilt University Medical Center. Dr. Ragan explained that the results have been confirmed in the past by other members of the scientific community. He also said that suicide risks rise for people in general who are within the ages of 15-24, and those aged 40 and up, explained ABC News. It is interesting to note that in Vietnam many statements were quoted which were lately repeated in other conflicts. Those myths state that the Vietnam veterans were driven, or encouraged, to end their lives by something or someone. "(the spouse) drove (him/her) to commit suicide." "(he/she) couldn't keep a job. Employers are against Vietnam vets." "(he/she) knew Agent Orange (cancer) would get (him/her)"
"The (VA or Federal government) refused to help (him/her)"
Can drug addiction be rightly linked to wartime service? Is the problem worse than the Armed Forces are willing to admit?. (ABC ) There are no reliable papers on Malvinas war veterans and drug abuse. However, there have been some researches on the general population which may be fully applied to the war veterans. Argentina is the Latin American country which consumes more marihuana (21,22). In the province of Buenos Aires, the amount of drug addicts assisted increased from 15,000 in 2002 to 30,000 in 2003. About 300,000 to 500,000 use illegal drugs in such province. According to the WHO the use of the paco (a drug composed by very toxic cocaine residues) has increased 200 % in the last four years thus being at the top of the rest of the Latin American countries. (6,83). Notwithstanding, there are no war veterans registered at the SEDRONAR (Secretary of Prevention and Assistance) ( Note 29-9-06). Scientists at the University of South Florida and James A Haley VA Medical Centre in Tampa state that they have definitively linked a common genetic trait to drug and alcohol abuse. The discovery elaborates on earlier suspicions about a gene called mu-opioid. It might eventually help people measure their own risk for addiction, and help scientists design more effective drugs for treating substance abuse. The researchers found that 95% of study participants who abused alcohol, smoke and used illicit drugs shared a specific variation of the mu-opioid gene (3,4). which is very much the age our Malvinas war veterans have (9). Diane England, Ph.D. worked overseas with military families in Italy for five years, including during the first year of the Iraq War. She says that as they did not know about PTSD at the time and had no treatments for it, veterans were left to deal with the symptoms of PTSD on their one. And indeed, to deal with the painful memories and the flashbacks, for example, many turned to alcohol and drugs to self medicate. Then, over time, they became alcoholics and drug addicts. Some of these same veterans who developed PTSD engaged in emotional abuse and verbal abuse, using it against their wives and their children. (29). According to the US National Center for PTSD, 25-75% of survivors of abusive or violent trauma report problematic alcohol use, this is associated with a chaotic lifestyle, which reduces family emotional closeness, increases family conflict and reduces parenting abilities. for having a preference to one particular point of view or ideological perspective. However, one is generally only said to be biased if one's powers of judgment are influenced by the biases one holds, to the extent that one's views could not be taken as being neutral or objective, but instead as subjective. 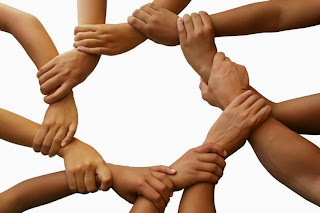 Stronger social networks and supports. Workers who provide community networks and activities. easier to develop trust . bring about a powerful feeling of unity. The Peer Support Counselors should have a special training. It´s not just a war veteran giving advice to another or transferring the nuisances to others or generating conflicts with the health officers but a man who may solve problems through the proper channels.The Washington State Peer Support Counselor Training Program has now trained and certified consumers for the past two years. The Mental Health Division conducted eight separate 40-hour trainings in Tacoma, Washington. Approximately 25 consumers attended each 1-week training. Peer Support Counselors become certified by successfully completing the program and passing the certification exam and completing the Department of Health Registered Registered Counselor Program. Health Promotor Agents courses given by the University of Buenos Aires (Agente Promotor de Salud) had a similar training to the Peer Support Counselor although there were certain differences. A promotor is an advocate who promotes health in her/his community and is a bridge between the community and systems of care. The first risk for a war veteran acting as a Peer Support Counselor World be to incur in Existential Authority. This last implies the lack of respect and the withering look the war veteran shows towards anyone who has not participated of his same conflict thus creating a bad attitude among his work-mates being at loggerheads with his employer who may sack him (sometimes in a improper way).Another could be the political risk like the one described in the USA in which a new Tucson based national group offering emotional support for Iraq veterans had another unstated purpose which was to recruit the troubled vets into anti-war activism. ( Vet support group has anti-war affiliations-Arizona Daily Star-Jan 16,2007) . The Peer Support worker drawing on personal experiences provides training in a wide variety of independent living skills. Peer Support workers may more readily recognize and address the psychological needs of their counterparts (Varenhorst 1984). The Members Assistance Program of the New York City Police Unions (MAP) have reduced the rate of police officer suicide and increased the level of acceptance for mental health services. In 2001 MAP became POPPA Police Organization Providing Peer Assistance. Ministry of Defense and Internal Affairs. The INSSJP (National Institute of Social Service for Pensioners) (very much like the British NHS) has a Resolution 191/05/DE which is known as the National Program for the Assistance of the War Veteran and his family. It allows the war veteran to freely choose his GP or specialist , it pays for every medical assistance, it has an open registry for professional services, pays for any transfer to a high complexity medical center which includes lodging and an attendant. As a result of Resolution 622/05 War Veterans Areas were created in every delegation (called UGL) of the INSSJP. In the delegations there are war veterans who inform their peers about the different services provided and the administrative procedures. CONICET ( Consejo Nacional de Investigaciones Científicas y Técnicas). The first province to be researched was Corrientes. In certain cases this meant getting into far away zones like the paraje Vizcaíno (45 Km from the island main harbour). Although it is an Argentine territory is surrounded by Paraguayan waters. This is the homeland of war veteran Marcelino Fernández, who, although situated in front of the Yaciretá dam, lacks of energy supply. (100). In the province of Chaco, medicine students and residents and members of the War Veterans´ Center took part in the city of Resistencia of a screening research which comprised 220 war veterans ( from a 1000 war veteran population); 5 per cent were considered as a high risk group (26). The INSSJP is giving some training courses on PTSD to mental health professionals (54). One of the main targets of the War Veterans´ Submanagement Area is the prevention and treatment of drug abuse. Traumatic Stress ) and Dr. Hector Fischer Dean of Psychology . A very British War: the Falklands remembered-The Independent on Sunday-30 December 2007. Amato, Alberto-Suicidio en el Monumento a la Bandera: las otras muertes que dejó la guerra-Clarín, 6 de abril de 2002. Bica, Camillo-Beyond PTSD: the moral casualties of war-The Greanville Journal-June 4, 2007. Borini M., González Trejo C, Solano M., y Madrid M-, (1999) (Manuscrito no publicado). La salud antes y después de la guerra. Proyecto de investigación y acción participativa para la salud de los veteranos de la Guerra de Malvinas. Buenos Aires: (INSSJP) División Veteranos de Guerra. Falkland veterans claim suicide toll-BBC News-13 January, 2002. Galak, Oliver-No cesan los suicidios de ex combatientes de Malvinas- La Nación, 28 de febrero de 2006. Gardner, Simon-Argentine Falkland Veterans plagued by suicide- Reuters- www.rense.com/general56/falkla.htm. Gerding, Eduardo C-The Anglo-Argentine Post-Conflict Common Ground The Combat Veterans’ Aftermath ( Chapter 18 of the book Hors de Combat:The Falklands-Malvinas Combat Twenty-Five years edited by Diego Garcia Quiroga and Mike Seear.CCC Press ). Hotopf, Mathew et al. The health of UK military personnel who deployed to the 2003 Iraq war: a cohort study-The Lancet- Vol 367,May 27,2006. p 1731-1741. Interpreting symptoms in military personnel after combat-Comment- The Lancet-Vol 367, May 27, 2006. Izzard, Jack-Falklands enemies meet at last-BBC News-1 April 2007. Jornadas de Capacitación Profesional para el Tratamiento del VG-Dr. en Psicología Dupen, Alberto , organizado por el Centro de Ex Combatientes de Malvinas de Rosario, Rosario, 16 de mayo de 2006. Martinez Ruhl, Eugenio-Las heridas que nunca cicatrizaron-Página 12-2 de abril de 2007. Milliken et al. Longitudinal Assessment of Mental Health Problems Among Active and Reserve Component, JAMA.2007; 298: 2141-2148. Niebieskikwiat, Natasha-El suicidio de un soldado distinguido con la medalla de honor en Malvinas-Clarín-26 de enero de 2006. Rodriguez Yebra, Martín-Un debate incómodo-La Nación-5 de abril de 2007. Schweimler, Daniel-The Falklands are Argentines-BBC News-2 April 2007. St George, Donna- In Military, Disorder Bucks Sexes' Divide-The Washington Post, Sunday, August 20, 2006. The fallen & the forgotten: The Falklands war 25 years on. The Independent-25 March 2007. Zalar, Richard-Domestic Violence-Correspondence-The New England Journal of Medicine-Correspondence-Vol 342:1450-1453, May 11, 2000. Zini,Carlos-La historia del soldado Fernandez y sus dos islas-El Malvinense, Enero 1, 2008.